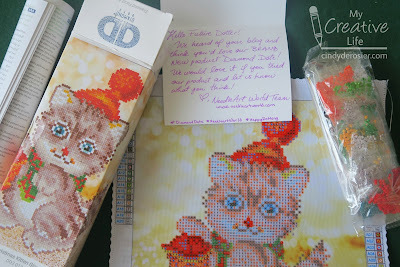 I first discovered diamond art in January 2017 when Needleart World debuted Diamond Dotz at the Creativation show. 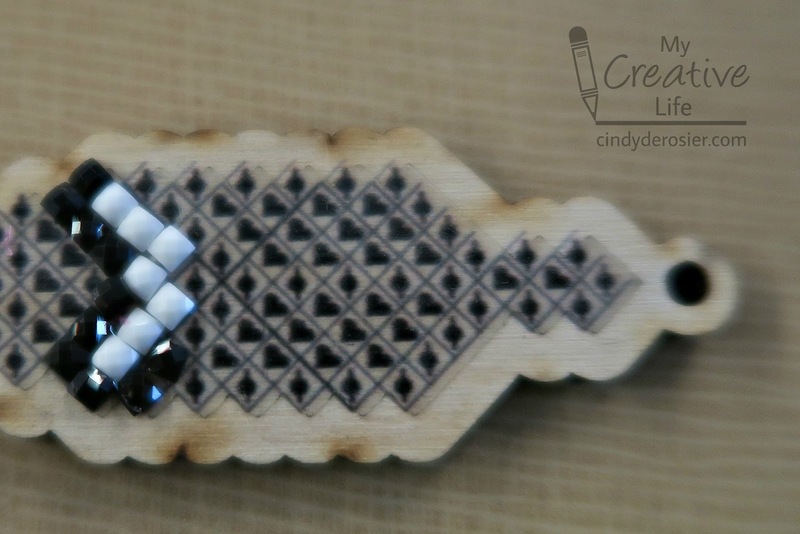 I've made a few Diamond Dotz projects since then and love everything about it. At the 2019 show, there were other companies besides Needleart World showing diamond art. I came home with kits from Wizardi and Leisure Arts. Now that I've worked with kits from three different companies and had friends over to test the products, I wanted to do a side-by-side comparison for you. This post contains affiliate links. I want to clarify that I'm not reviewing the designs themselves, as each company has many different images in a variety of sizes. 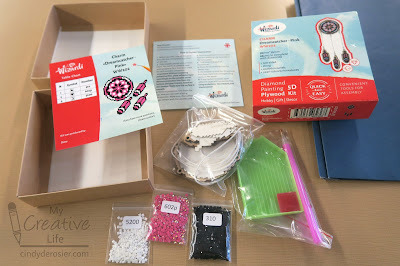 Instead, I want to compare the gems/Dotz themselves, as well as the adhesive and the substrate, the tools, the instructions, and everything else that contributes to the crafting experience. I'm including my own thoughts as well as those of my friends who worked on the projects with me. Diamond Dotz and Leisure Arts both use identical diamonds, called Dotz. They are round, made of epoxy resin, and have 13 facets. They sparkle beautifully in the light, just like a diamond. The round shape is very forgiving when you place the Dotz; there is no need to orient them a particular direction, as they have infinite symmetry. You can see a very small amount of the background at the 'corners' where two Dotz meet. Wizardi's gems are square. 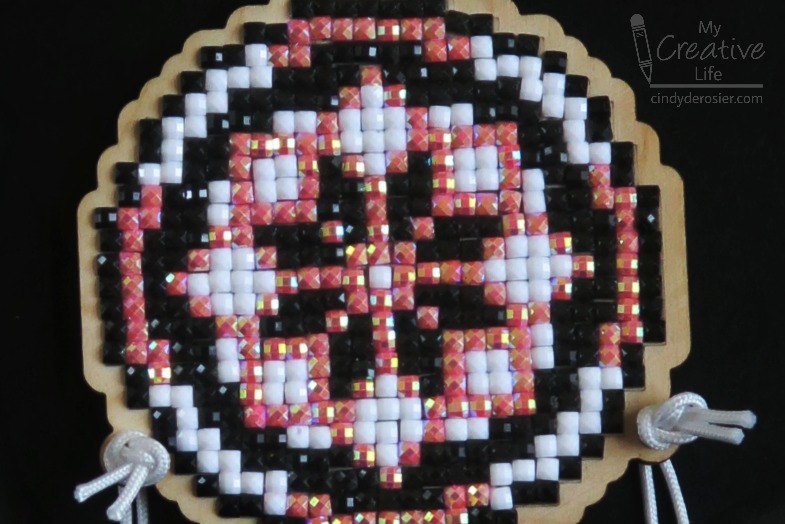 Their sparkle is more directional than the round Dotz and you have to be a lot more careful with how you place them so that they line up. Anything that isn't placed precisely is noticeable. When lined up perfectly, which is difficult to do, the square gems completely cover the background. The different colors of gems have very different amounts of sparkle; the white has no sparkle at all. 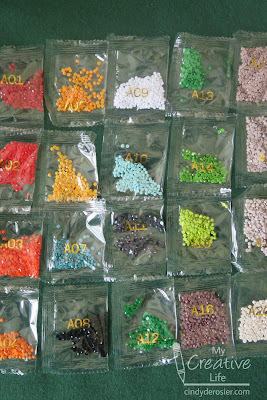 Wizardi's gems come in ziptop bags, while Diamond Dotz and Leisure Arts package their Dotz in strips that need to be cut/torn apart. They include separate ziptop bags in the package to store the extra Dotz. Leisure Arts and Wizardi label the bags with a number or number-letter combination that is unique for each color across different kits. Diamond Dotz uses a sequential numbering system, starting at A01. This means that A01 in one kit is not the same color as A01 in a different kit. Diamond Dotz and Leisure Arts both use a strong woven fabric, designed to resist fold marks and to hold the weight of the Dotz. The adhesive comes pre-applied to the canvas (covered with reversible plastic sheeting) and is very strong. The Dotz feel very secure. 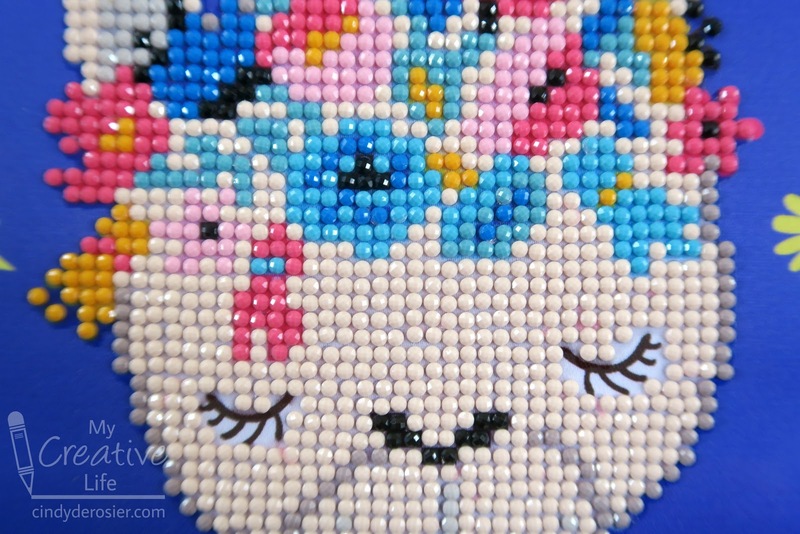 The fabric is printed with symbols and colors to tell you where to put the Dotz. I'm aware of one difference between the two companies: with Leisure Arts, the background colors always match the Dotz, which means the tiny small amount of the fabric that shows through matches. Diamond Dotz matches most of the background to the colors of the Dotz, but a few areas are colored differently to make it easier to tell the difference between shades as you work. If you look closely at the box vs. the blank canvas next to it, you can see that there is a blue color printed on the cat's hat that is not present in the finished design as shown on the box. The Wizardi has a wood base, described on their packaging as "plywood" and "wooden panels." 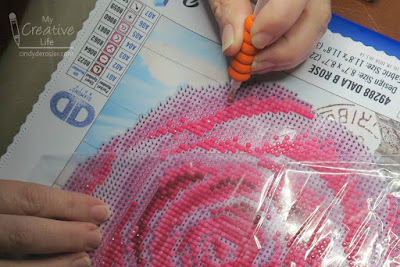 The adhesive is not pre-applied; the crafter applies it and needs to make sure it is lined up correctly. The printing is all black, so you need to check the patterns to know what color to apply. The kits from all three companies come with a stylus, a tray, wax, and instructions. The Diamond Dotz and Leisure Arts' styli have a comfort grip, while Wizardi's does not. The Wizardi tray is slightly wider than those of the others. Diamond Dotz' wax comes in a little jar with a lid while the other two come as sheets covered with plastic. All three companies' instructions are adequate, though Wizardi desperately needs an English-speaking editor (and a proofreader in general - the company name is spelled Wizzardi twice). So what's the final analysis? All things considered, I prefer Leisure Arts Diamond Art. Their kits are essentially the same as Diamond Dotz in many ways, but the fact that the Dotz are labeled with unique color numbers means that I can easily combine extras from different kits and use them for other projects (which I've been doing but can't share with you for a couple of months, which is so frustrating). But I would happily do more kits from either company. 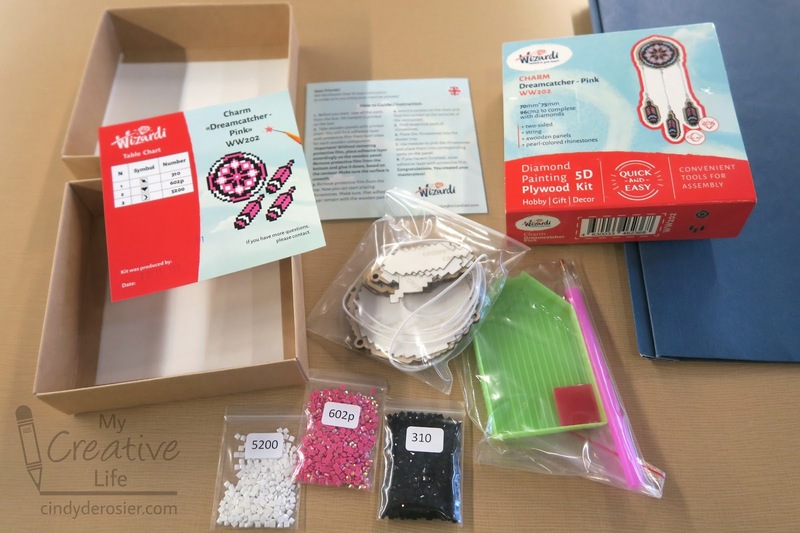 I found the Wizardi kit frustrating. I hated having to line up the squares, which for me took away the relaxation element of diamond art. There was no consensus among my friends; different people preferred different brands, though it mostly boiled down to a round vs. square debate. There is no question that there will be more Leisure Arts Diamond Art in my future. The tough part is deciding which one to do next. If you have a suggestion of which one I should do, please let me know! Come back tomorrow when I'll be sharing the first of many ideas I have for using leftover Diamond Dotz. I always trust your judgement, and I think the Diamond would be more my style and within my patience zone! LOL!!! Lining everything up perfectly?! "Aint nobody got time for that!" Diamond all the way! The end results are so pretty...but I don't think I have the patience for it. Hehe.